Our Wodify Guest Blog Series is part of our growing initiative to open our doors to the fitness community around the world that uses Wodify, so they may share their experience, news, and advice. 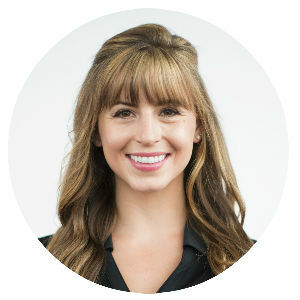 Guest author Emily Sopo is a certified Master Trainer at Myzone and Senior Account Manager. Your heart rate at rest is a measure of cardiorespiratory fitness. The lower your resting heart rate, the more efficient your heart is at pumping blood through your body. That’s a good thing because your heart shouldn’t have to work harder than it needs to. You can assess your resting heart rate periodically - I recommend every 6-8 weeks - by either wearing your Myzone belt to bed overnight or by putting it on first thing in the morning and laying down for 10 minutes. You should be as close to a resting state as possible so that your belt accurately determines your heart rate. As you continue to work out at your box, you’ll see your resting heart rate decrease, which is proof of the progress you’re making. Another good indicator of fitness is how quickly your heart rate can recover after exercising, or in the case of CrossFit workouts, during periods of rest in between sets. You can measure your recovery by doing a one-minute heart rate recovery test. After working up to the Yellow or Red zone (80-89% or 90-100%, respectively), look at your tile on the Wodify display, rest for one minute and see how much your heart rate recovers. Over time, the more your heart rate decrease, the healthier your heart becomes. I’m not a CrossFit expert, but I do know the workouts are intense and you might not be thinking about recovery times while you’re trying to catch your breath. In that case, the MyZone app can help. Under the Workout tile is the Zone Match or “ZM” button. Pressing it will open up a menu of pre-programmed workouts, including the 15-minute MZ-Fitness Test, which is designed to measure recovery. I recommend repeating this test every 6-8 weeks to see if your recovery improves. Be sure to keep the conditions of this test consistent each time (i.e. if you perform it in the morning, always perform it in the morning). Typically, a “good” score is at least a 20-beat drop in the minute, but we encourage users to compare their score only to themselves. I’ve come to understand that Crossfitters are an intense bunch, but there is such a thing as overtraining. With that in mind, one of the benefits of wearing a heart rate monitor during exercise is having the ability to pace yourself so that you can avoid injuries and keep proper form during technical movements. Pacing yourself applies not only to your daily workouts, but throughout the week as well. If you do a higher-intensity workout where you spend the majority of time in the Yellow and Red zones, ideally your next workout should be in the Blue and Green zones to prevent overtraining. You can consult your daily Wodify Pulse recap emails to determine in which zones you’ve spent the most time. A good rule of thumb is to make sure you’re spending time in each color over the course of a week so your graphs and Myzone Calendar are colorful! If you’re a fan of personal exercise data, both the Wodify and Myzone apps have you covered. And by using them together, you can really get a detailed snapshot of your past workouts. For example, you can look up specific metcons in the Performance History tab of the Wodify app to find out the dates you completed that workout. You can then cross-reference them using the Myzone app’s Calendar function to determine how hard you worked and how many calories you burned. In addition, by clicking on the graph, you can see exactly what zone you were in on a minute-by-minute basis. I hope these tips help you get more from your Myzone belt and your Wodify Pulse experience. Happy exercising! BONUS: See Wodify Pulse in action at CrossFit 1Force.